Artists Mitchy Slick, Phil Da Agony and Krondon make up Strong Arm Steady, an underground hip-hop group forged tough in the streets of South Central. Established in 2003, success has come to the band because of a disciplined work ethic, brilliant talent and rock-hard commitment to the scene and their fans. 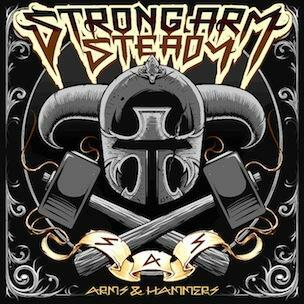 With their third album, Arms and Hammers, Strong Arm Steady is going to rock us all out in 2011. Strong Arm Steady is often described as an underground hip-hop group that formed as an alternative to the gang-dominated scene. Is this a proper description? Phil Da Agony: I love it. That’s the description we utilize. We’re new proprietors of L.A. West Coast Southern California culture. We don’t want to be labeled, though, because that can get you pigeonholed. How would you describe Strong Arm Steady? PDA: We want you to hear the voices of the survivors. We are progressive people who grew up in a particular street culture, and with our music it’s going to be complex because we want you to feel the different layers. Mitchy Slick: We all stood out before the band. We all bring a unique perspective. We got more out this experience than your average person, so we show you that viewpoint. Let’s talk about marijuana. What do you think? PDA: It’s one of the greatest things God created. We are a cannabis smoking band. It’s a big part of who we are. My brothers and I rap when we get high. We smoke it, sell it, grow it, buy it. We are the pioneers in the industry. It’s the tools of the trade. We rap about cannabis because it’s a part of the street. What do you think of the legalization effort? PDA: I just hope it stays positive and doesn’t end up being taken over by the government and ruined. I think that it’s going to affect the street. I’m not saying I’m an advocate of selling cannabis, but that’s something the African American community is a part of. All of us are pushing for cannabis to be legalized. Did you approach Arms & Hammers differently than your previous album, In Search of Stony Jackson? PDA: The tale of the album is that we all have tools of the trade. It’s your computer, your microphone, your hammer...and you use your arm to wield those tools, whatever they might be. It takes a strong arm and a hammer to start a foundation. It was important to name our album based on a concept is that we can all agree with. But a hammer is also a slang term for a gun, so that’s the darkness, the violence. You go through the light, you go through the day and you go through different times. Mitchy Slick: We wanted to point out the night is about the good and the bad. Arms and Hammers is about dealing with that darkness, while In Search of Stony Jackson is about the light. The artwork on the covers of both albums represents that. What else can we look forward to from Strong Arm Steady? PDA: The album is coming out on Feb. 22. There is also going to be a mini-movie called Arms and Hammers: The Foundation. That will come out before the album to show a day in the life of L.A. We are going to headline a lot of tours this March and April. 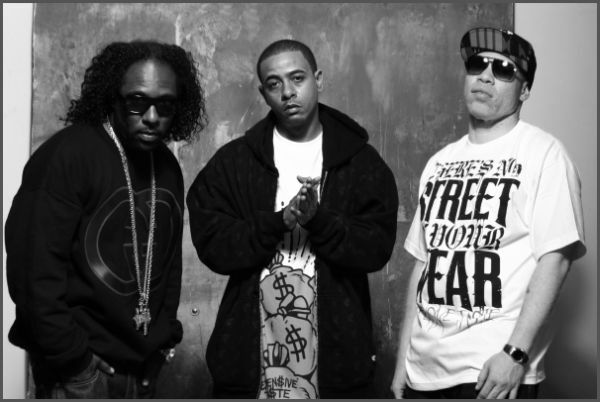 We will be going to 20 to 25 cities, and we’ll be touring with Planet Asia, Freddie Biggs, and Self Scientific.